John B. “JB” McCuskey, West Virginia’s 21st State Auditor, was a two-term member of the House of Delegates, District 35 in Charleston from 2012-2016. He is a graduate of The George Washington University, Washington, D.C., with a degree in Political Communication. He is also a graduate of the West Virginia University College of Law, and was previously an attorney for six years with Steptoe & Johnson in Charleston. While serving in the West Virginia House of Delegates, Auditor McCuskey was a member of the Energy, Industry and Labor, Judiciary, Banking and Insurance (chair), and Enrolled Bills (chair) Committees. He also served on Interim Committees including Energy, Judiciary, Technology, and the Regional Jail and Correctional Facility Authority (chair). Born in Clarksburg, and a longtime resident of Charleston, Auditor McCuskey is a graduate of George Washington High School, Class of 2000. Before attending law school, he worked as a civilian for the Department of Defense at the Pentagon, Washington, D.C., in the offices of the Army and Department of Defense General Counsels. 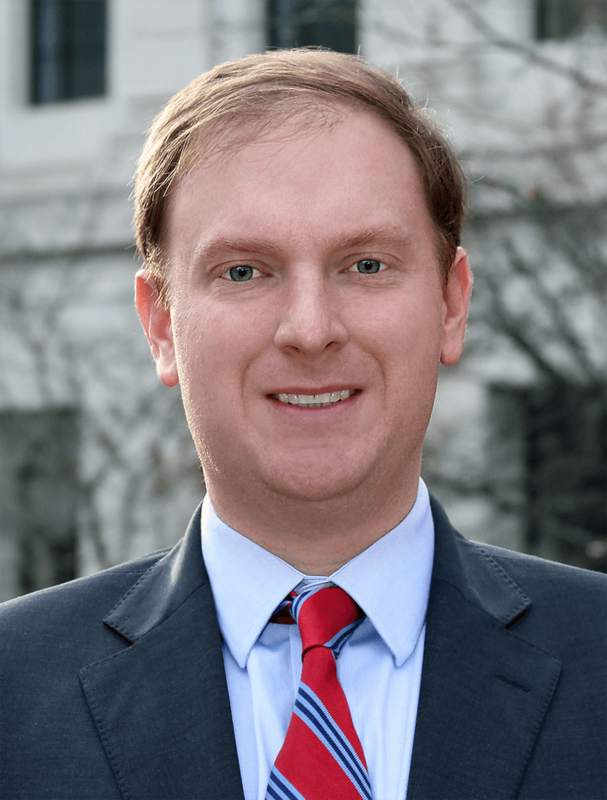 Auditor McCuskey is the son of John F. McCuskey of Charleston, 70th Justice of the Supreme Court of Appeals of West Virginia and former member of the State Legislature, and the late Anne McCuskey. He resides in Charleston with his wife, Wendy, and daughters, Charlotte Anne and Martha Elizabeth, where they own a small business.